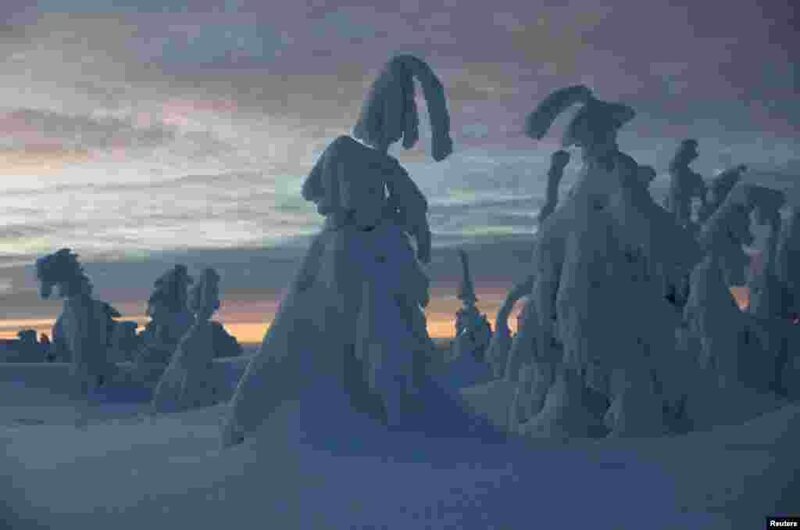 1 Trees covered with snow are seen after sunset at the mountain resort in Szczyrk, Poland. 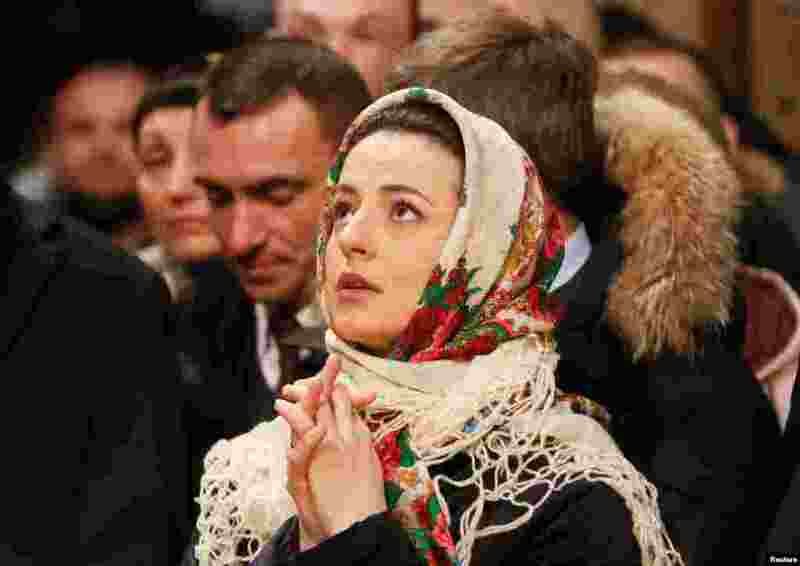 2 Worshipers attend a service marking Orthodox Christmas and celebrating the independence of the Orthodox Church of Ukraine at the Saint Sophia's Cathedral in Kyiv, Ukraine. 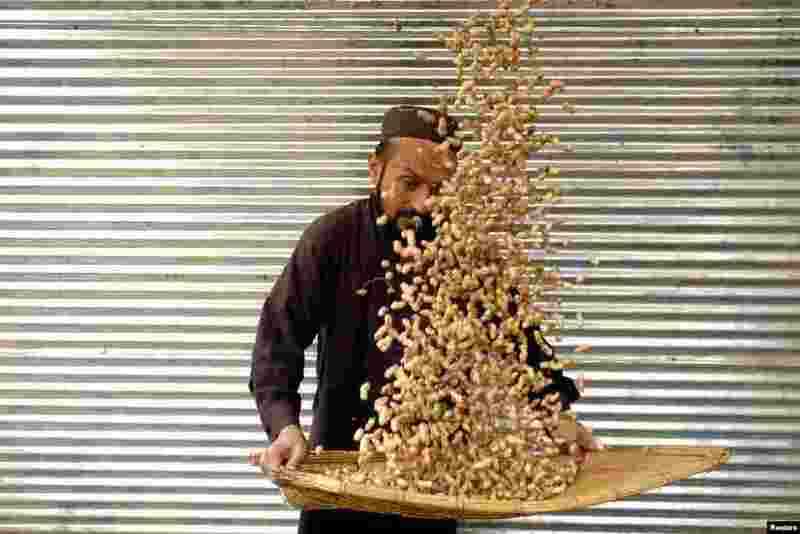 3 A man cleans peanuts for sale outside a shop in Peshawar, Pakistan. 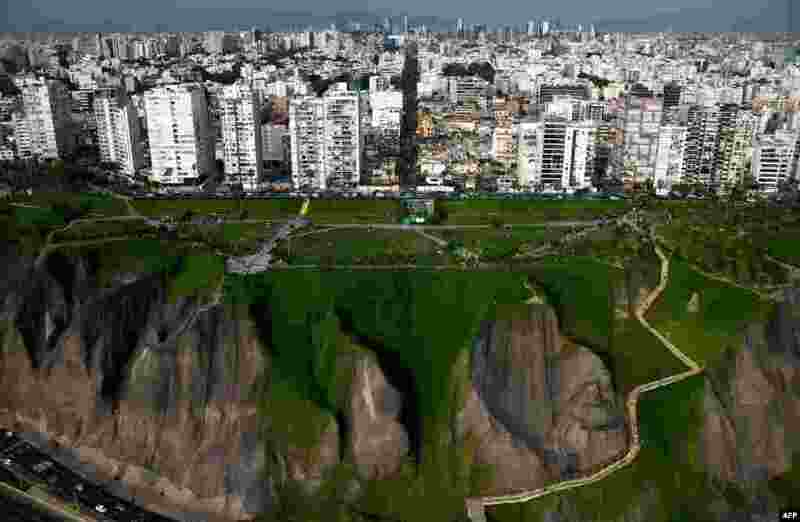 4 Aerial view of the Lima coastline, Peru, during the podium ceremony before the start of the Dakar Rally, Jan. 6, 2019. The 41st edition of Dakar Rally starts in Lima today.